The most important tools used are heat therapy, radioactive heat (Infra Red), hot pads, parafine bathes and waxes in addition to massages and special exercises. Walking exercises are used also through medical aids like walkers and parallel bars. Different forms of electric current are used as analgesic, nerve stimulant and muscles enforcer. In addition, special equipment with magnetic and ultrasound frequencies are used to minimize the pain like short waves, radar waves, laser and others. 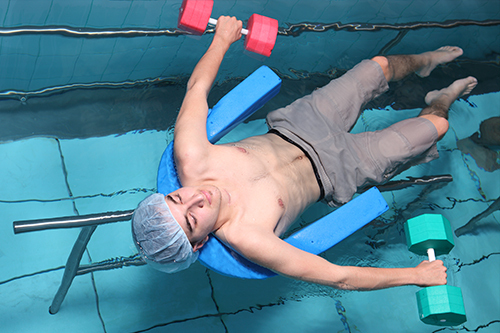 Used as heat therapy to facilitate the movement of weak limbs by using mostly the swimming pool for muscle atrophy, fractures and medical operations in addition to vibromassage and others. 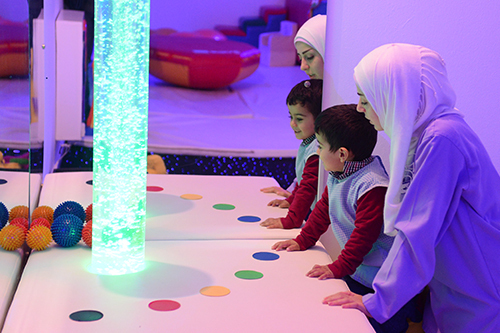 A method of treatment using purposeful occupations that we do in everyday life, in the aim of returning individuals with disabilities to function. The therapy promotes independent functioning in daily tasks through the teaching of compensatory facilitation, techniques and strengthening exercises. It helps the disabled adapt to his new situation through the provision of adaptive equipment and the teaching of adaptive techniques. It enhances the quality of life for the patients and teaches skills for increased independence. This kind of therapy is directed towards individuals who have been disabled by injury, illness, disease, or through the aging process. Diagnostic and prognostic tests are utilized in the screening and evaluation of the patient level of function. Based on the latter, a personalized therapy program will be determined for each patient along a certain period of time. 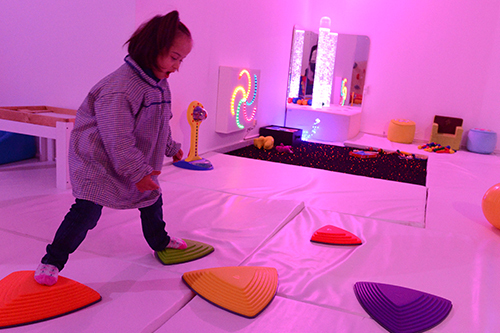 Part of an expansion strategy, LWAH added the first in Lebanon multisensory therapy room to its rehabilitation centre, incorporating the latest technologies for the welfare of persons with disabilities. 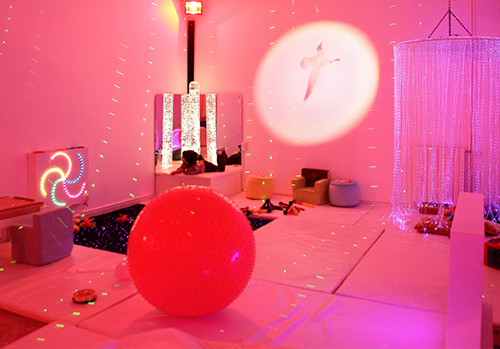 The room provides multisensiry therapy for children and adults living with developmental, sensory, cognitive or physical disabilities. 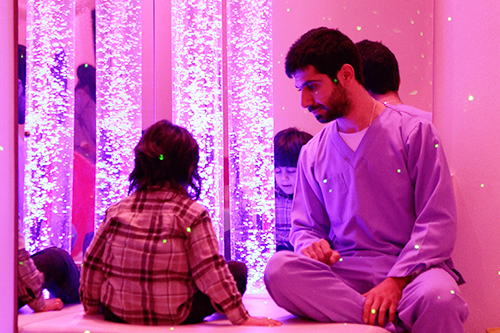 It will either stimulate or relax patients, each according to his/her rehabilitation protocol and specific needs, through the use of fiber optic material, touch, sound, color and lights. 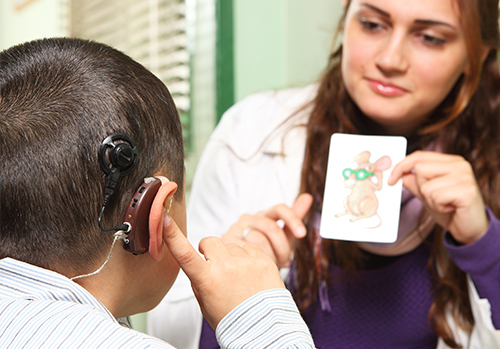 A comprehensive program with the aim of treating hearing and speech disabilities with the latest computerized equipment and with the help of professionals in the field. This service is managed by specialized ENT physicians, audiologists and speech therapists, especially trained to help patients regain their functions and ability to communicate. The program provides speech and hearing therapy using advanced diagnostic tests (audiometer, Bera) and provides top of the line internal and external hearing aids with water and noise isolation specifications, in addition to post-fitting follow-up services. Regular counseling for the physically disabled in order to improve their psychological status through enhancing their self-esteem, alleviating depression, encouraging social interactions and communication and easing the procession of accepting the disability. Psychomotor therapy tries to realize positive therapeutical results regarding physical and psychological complaints (anxiety, problems in concentration, behavioral disorders…) by using adapted body skills, movement and sports situations. Awareness program for parents to detect the disability case as early as possible, and allow our early intervention. Early diagnosis facilitates treatment and allows for serious improvements throughout the stages of life. Training the parents to participate in the rehabilitation process of their disabled child. The program focuses on parents' attitude and behavior towards the child and attempts to ease difficulties of accepting the disability. It works on properly developing a normal parent-child relationship. Provision of technical aids (wheelchairs, walkers, crutches...) and hygienic items such as diapers and others.